The biggest holiday for spring, Easter, is just around the corner. The Christian holiday traditionally marks the day of resurrection of Jesus Christ three day after his crucifixion. Easter is not tied to a specific date on the calendar but falls on the first Sunday after the first full moon following the March equinox. For many Americans, Easter has become linked to non-religious activities such as egg hunting, the Easter Bunny, Easter brunch and Easter parades. Many of these nonreligious activities are leftover from the ancient English spring holiday, Eostre. Eostre is a pagan spring holiday that celebrates the great northern goddess whose symbol was a rabbit or hare. Some businesses boom on Easter and plan their commercial photography only around this spring holiday. Our New York commercial photographers at Le Image Inc have created a list of the top businesses that bloom during the Easter holiday. 1. 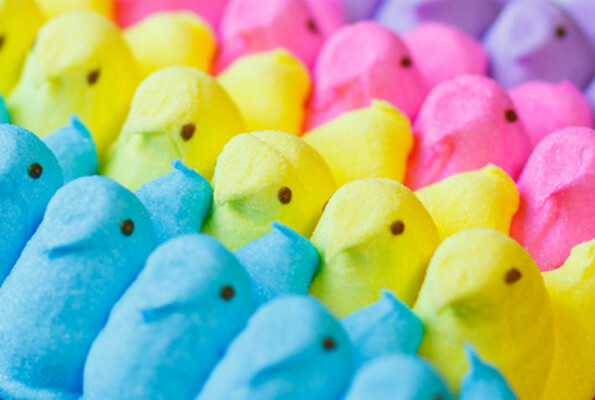 Peeps– This delicious Easter treat was created in 1920s by Russian immigrant, Sam Born. It used to take almost 30 hours to make one single Peep until the 1950s. The highest selling marshmallow treat for this company is the original yellow chick. 2. Cadbury Crème Eggs– This chocolate Easter sweet is a best seller in both the United States and the United Kingdom. Invented in 1923, these chocolate and fondant creme eggs are only sold between New Year’s Day and Easter. 3. PAAS Easter Egg Dye- Invented by Newark, New Jersey drugstore owner, William Townley, PAAS has been around for over 130 years! The name PAAS comes from “Passen,” the word that his Pennsylvania Dutch neighbors used for Easter. Today, Americans purchase more than 10 million PAAS Easter Egg Color Kits during the Easter season, and use them to decorate as many as 180 million eggs! However you celebrate this Sunday, we hope you enjoy your weekend! Have a great spring, everyone.